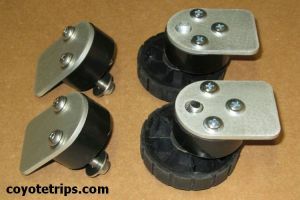 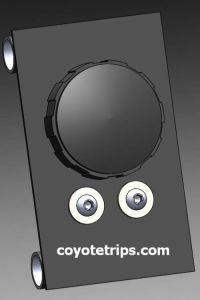 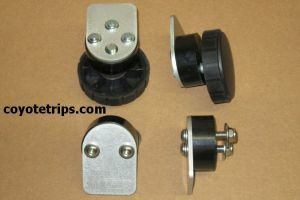 Flat, rubberized knobs (Made in Germany) don't interfere with your luggage as much as knobs of other manufacturers and are easier to grip, allowing you to tighten them easily. 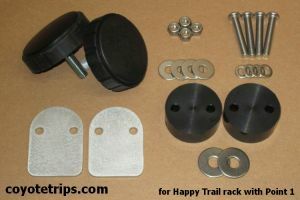 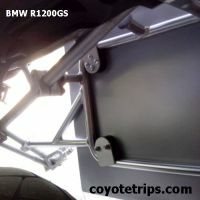 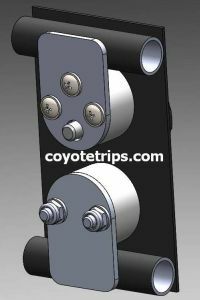 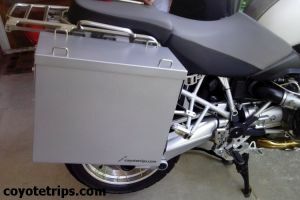 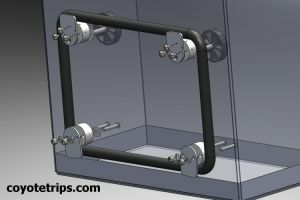 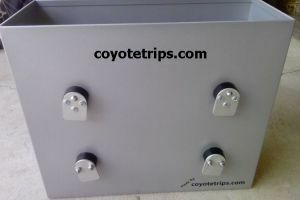 Happy Trail racks with "Point1" only need the knobs for the top and no upper hooks. 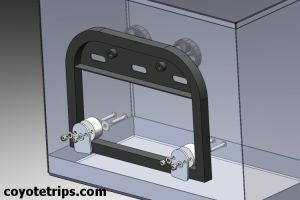 The Mounting Kit comes with clear, ilustrated instructions on how to install the kit. 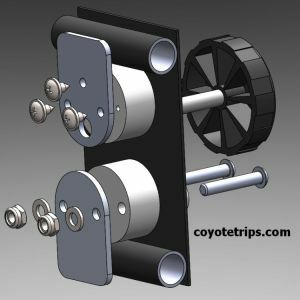 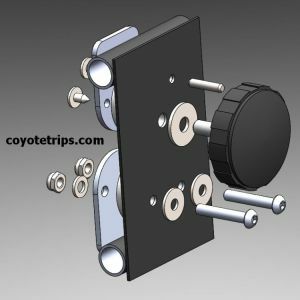 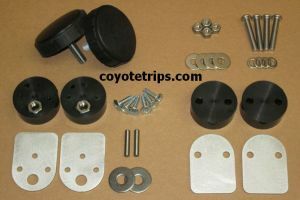 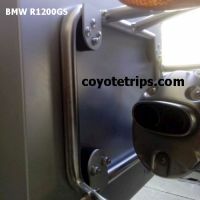 per mounting kit for Happy Trail "Point1"